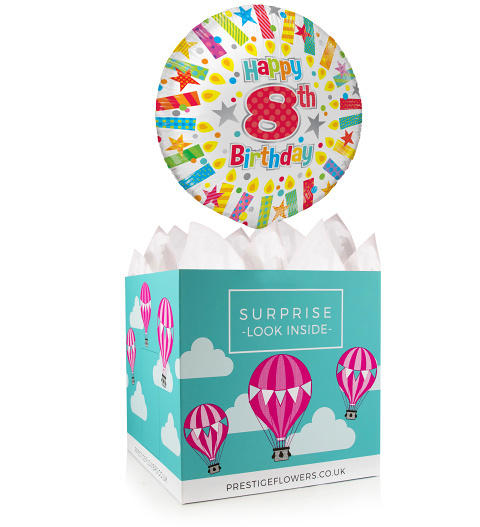 Spoil the birthday boy or girl with this lovely 18-inch helium balloon and gift box. This gift also includes a gift box lined with tissue paper. Feel free to take your pick from our selection of optional extras like chocolates, cake, wine, and cuddly bears. We will also include your message for that personal touch.